When calculating the amount of electricity consumed, it is customary to use the term "kilowatt-hours". This value is the actual power consumption device power N kilowatt a number of hours X. Start to understand what kind of value you need to take into consideration. The fact that very often in the calculation of electricity the concept of kilowatt-hours and kilowatts are confusing. Although kW is power (that is, the amount consumed by the device of energy) and kilowatt-hour is the amount of time consumed per hour. Please note that the data on energy consumed on the electric counter indicated in kilowatts. To convert them into watts, multiply the number of kilowatt one thousand. Thus, 1 kilowatt * 1000 = 1000 watts. As watt-hours or kilowatt-hours is the amount of watts for a certain period of time, for calculations you must know for what period of time to get the figure. Divide the number of watt-hours by the number of hours for which the calculation is performed. For example, you know that in the past month (30 days) consumption of electricity metering devices is 72 kilowatt/hours. Multiply this figure by a thousand. To obtain the number of watts. 68,4*1000=68400 watts/hour. Now divide the resulting figure by 720. That's the number of hours in one month (30*24=720). 68400/720=95 watts. 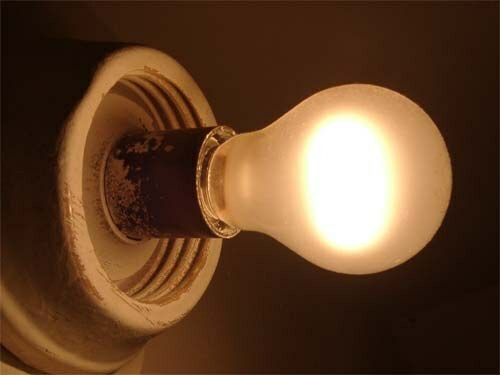 It turns out that in the course of a month constantly burning one light bulb with a power of 95 watts. Remember that the data remain approximate average character, if you produce a General calculation. It is impossible to distinguish one particular appliance. This formula does not take into account the loss of energy. To calculate power watts for a single device you need to connect it to the network in a single copy, included leaving within the hour. The resulting figure will be the desired value. For example, if the network was enabled iron. Potrebu one hour 1500 watt/hour, power consumption of this device would be exactly 1500 watts.